Going into Annette’s Definitive Style program I was completely uneducated in style. 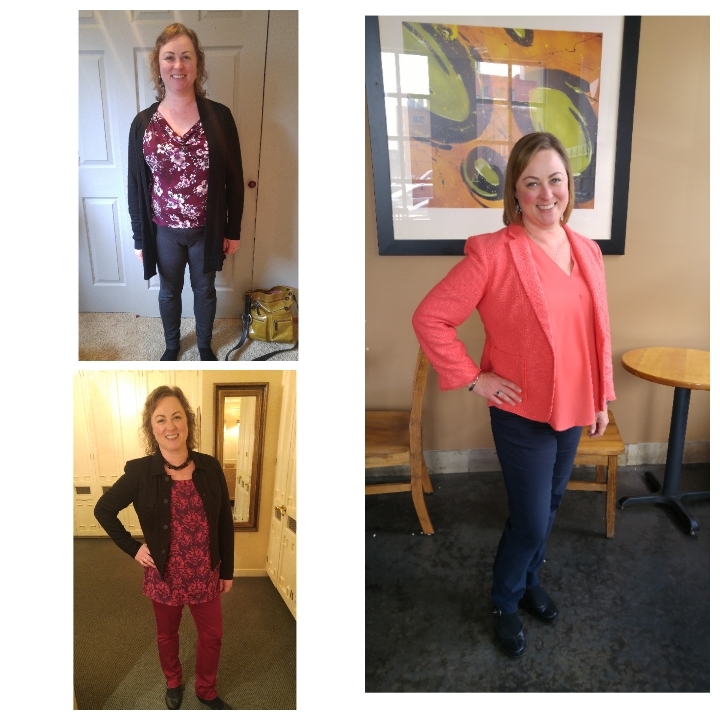 I found that I needed an entirely different wardrobe and to be educated in how to put together great outfits that were still “me” and understand which ones were best for specific meetings or events. Then I met Annette Bond. I signed up for and completed her Signature Program and am amazed that I went from one end of the spectrum to the other extreme end. My experience and journey with her has been incredibly valuable and educational. Through my 18+ years of working with executives at Fortune 100 companies, I have been blessed with experiences that have given me very strong business acumen. To prove a point, I humbly tell you that I have won global awards for my best practices and other companies have adopted them since they are so impactful. Given this, as a business professional I feel strong about the value I bring. Before working with Annette, my external appearance didn’t match or reflect that value or who I truly am at the core. Through working with her and learning, I now have the tools and knowledge needed to consistently ensure that my external image is aligned with what I have to offer. I’m not distracted by items that don’t fit correctly or are what I think I should wear but don’t feel like “me” or wondering if I choose the right outfit for the occasion. I feel and am more empowered. For the first time, I humbly tell you that I consistently get positive comments on my outfits. I say “Thank you. Have you heard of Annette Bond?” since it is all due to her. In fact, I think I have become better at giving an elevator pitch about her offerings than my own. When I truly believe in something, I want everyone to know about it so they too can experience it and gain all the positive benefits. I am so glad I invested in myself early in starting my own business by signing up for Annette’s Signature Program. I completed it just in time to publicly launch Solutions for Impact LLC. It is an understatement to say it has been well worth all the time and money I spent to improve my image. I was excited about everything the program promised to deliver. In the end, it actually delivered 2-3 times the value I expected (and I have high standards). As a side note, Annette runs her business in such an extremely professional way that it is obvious that she pays attention to every detail of what she provides in the client experience. She made me feel like royalty. If you are a business owner and pay attention to the way she runs her business, it is like having a mentor teaching you best practices. I was lucky enough to get the benefits from both perspectives. A public note to Annette specifically – Thank you for a fun, professional and educational experience. You provided more value and impact than I will ever be able to articulate to you. Thank you for choosing a career where you provide such an incredible service that really does make a difference in people’s lives – how they feel about and represent themselves. Empowering people is a key component of both of our business and it feels amazing to be on the receiving end of that. The results of our work together on my image has already had an impact on my business since I have been able to use it as a tool when meeting with clients and presenting at seminars.